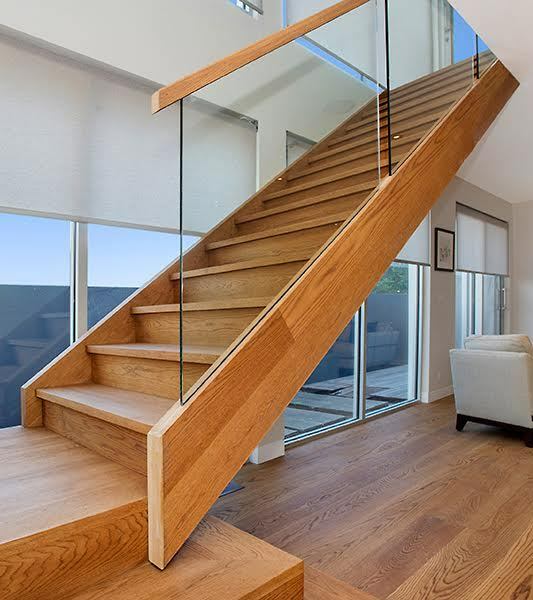 A glass balustrade is at the pinnacle of contemporary staircase design, giving great strength and a clean sophisticated look that completes any modern staircase.The most obvious and unique advantage of glass balustrading is its transparency, which is ideal in confined or darker spaces where it allows available light to penetrate the stairwell. 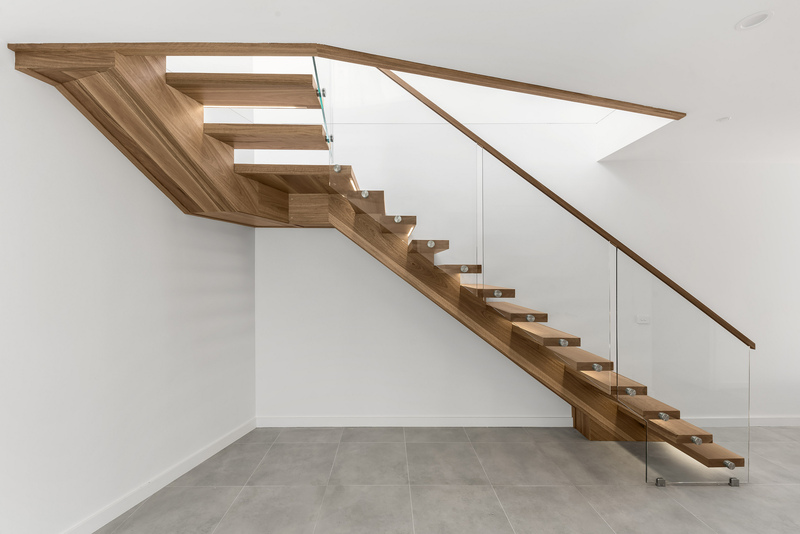 Glass also serves to open the staircase up to the surrounding space and coupled with a cantilevered stair, it accentuates the `floating’ look of the treads and sculptural design. 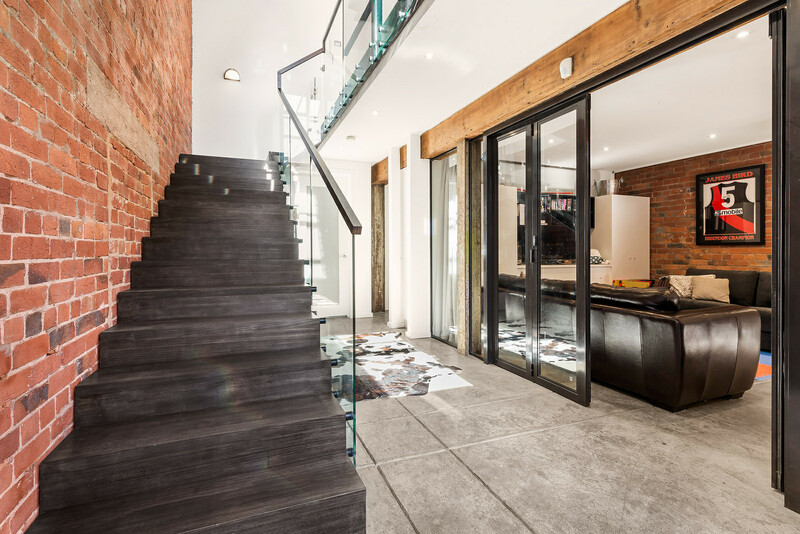 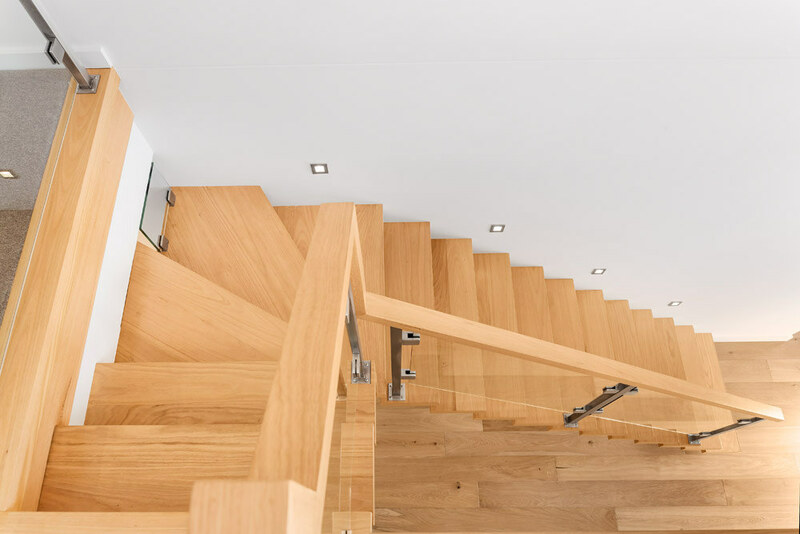 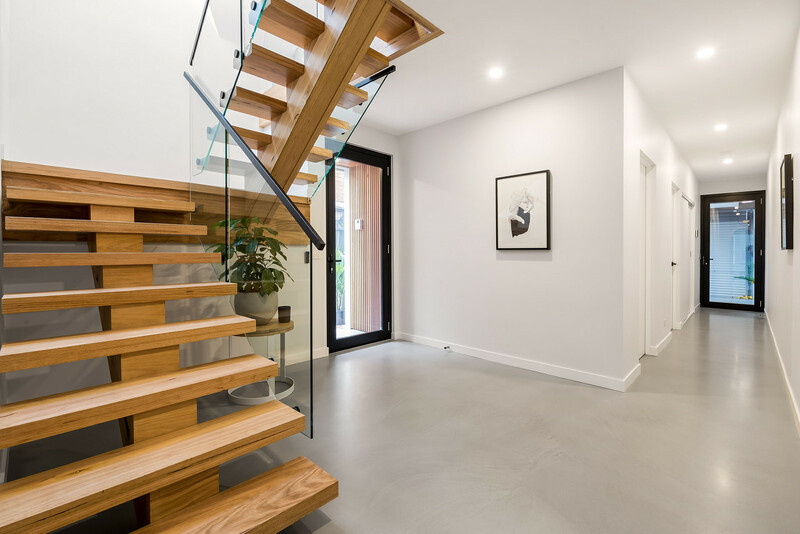 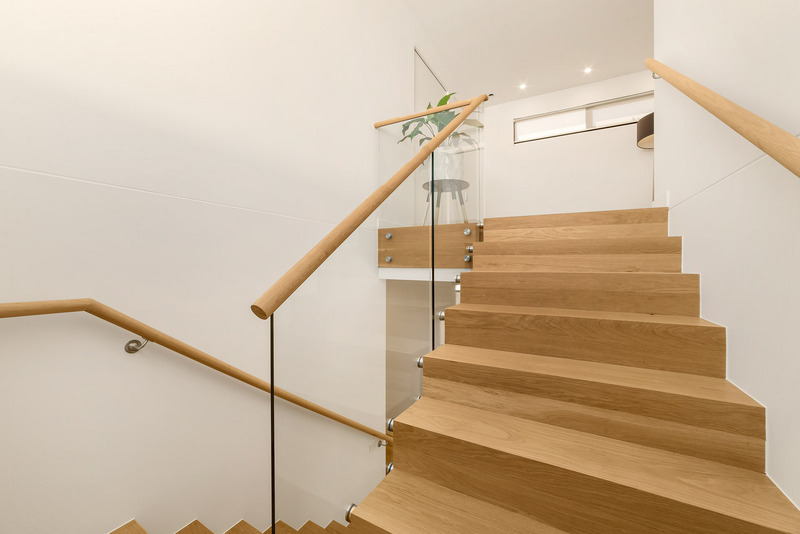 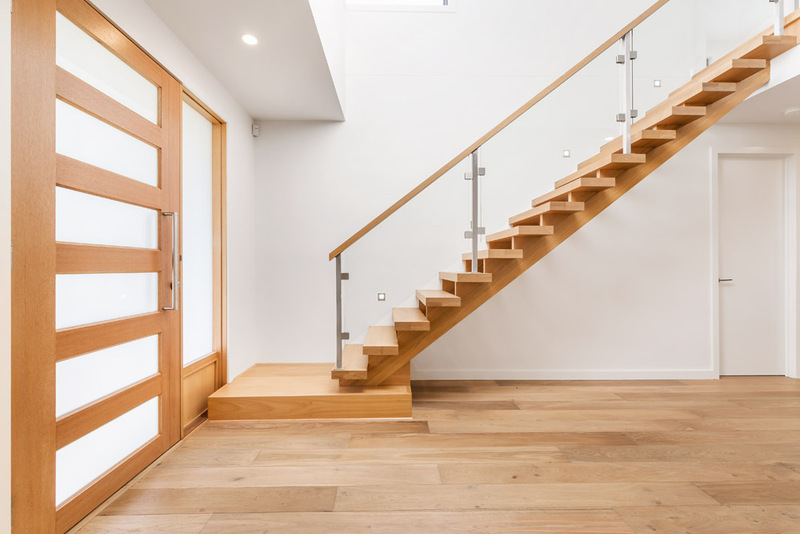 Glass can be incorporated into a balustrade in a range of ways, and as a Melbourne stair builder, we can help you find the right design for your home. 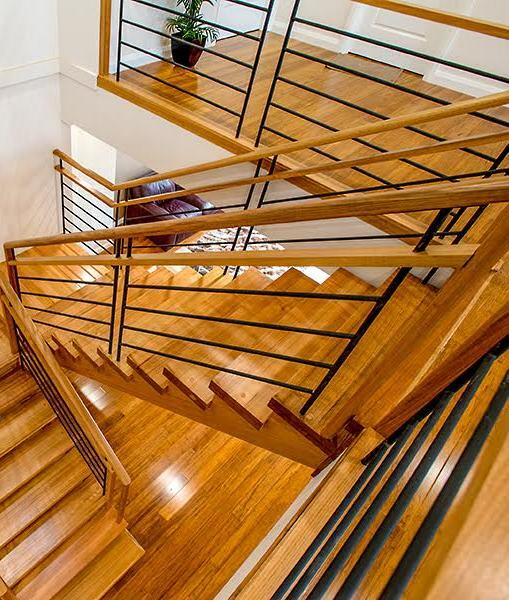 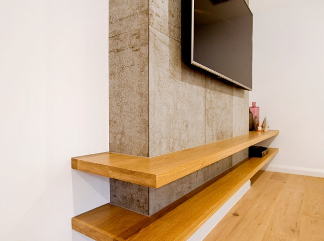 This might be glass inserted into a timber frame with concealed fixings, attached to steel posts and held with glass clamps, or side-mounted to the treads with stainless steel patch fittings.In a contemporary home in Albert Park, we used 12mm toughened glass side-mounted to the treads, however the truly unique element was above, where the glass continued into a concealed channel in the ceiling, delivering a clean uninterrupted view and a striking modern design.